I'm loving the frugal living. Loving it. Primarily because it's helping me reach my financial goals. It feels good. So...it's that time! Let me tell you about this week's frugal finds! I'm learning so much through couponing and frugal living. One of my biggest lessons has been that a person doesn't really ever need to pay full price for anything! There's almost always a way to get a reduced price through the use of an app or coupon or thoughtful shopping. Over the past 6 weeks, I've cut my expenses by about 80%. I did that through spending very little money on non-essentials. Beyond bills, rent, and my student loan payment, I'm doing my best to keep the expenses at a minimum (while still enjoying life!). That being said, I do still need to buy some non-food items now and then. I'm learning to make lists and really think through all purchases IN ADVANCE. That's helping me discern needs vs. wants. *Toilet paper....obviously, a need. :) I checked out price points in the local area, and found the best deal to be at Fleet Farm! Several dollars cheaper than anywhere else for the amount in the package. 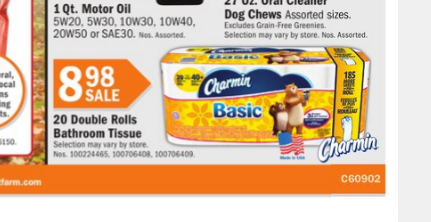 I was able to add in this $1/1 ($1 off of 1 package), and that made the total cost $7.98 for a 20 roll package. If you have a Fleet Farm handy, I'd say go for it. I was in and out of the store in 3 minutes. Next up, baked beans which has become a regular food item in my weekly line-up. I love to make a giant batch of rice at the beginning of the week and then eat it alongside a bean dish and a veggie all week. 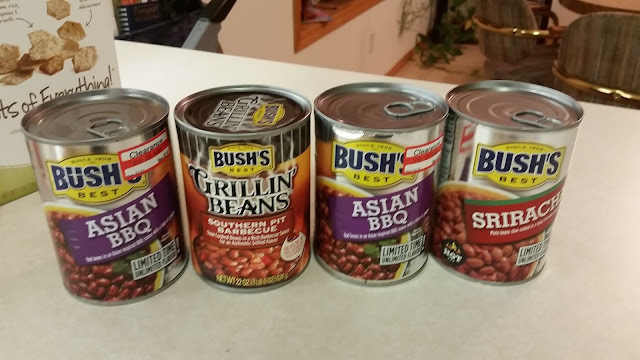 I found these Asian BBQ beans at Target for $1. The Sriracha and Grillin Beans were both on sale using a $1 off coupon from the weekend paper. So 4 cans of yummy beans for $4! I think I'll eventually get planful enough to cook dried beans. 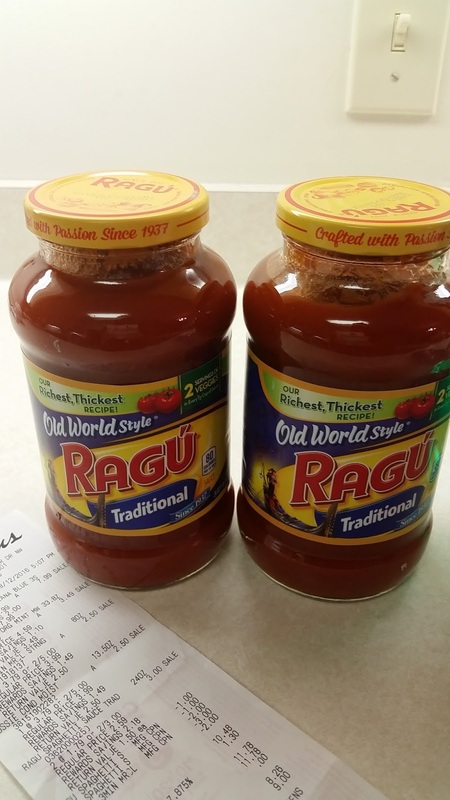 But in the meantime, these are a good value and decent nutritional content, too...especially when paired with fresh veggies and brown rice. I needed some new hair conditioner, and it was Walgreens to the rescue! They're running at 2 for $5 sale right now. That's cool and all, but following these tips from Hip2Save, I got them basically for free. 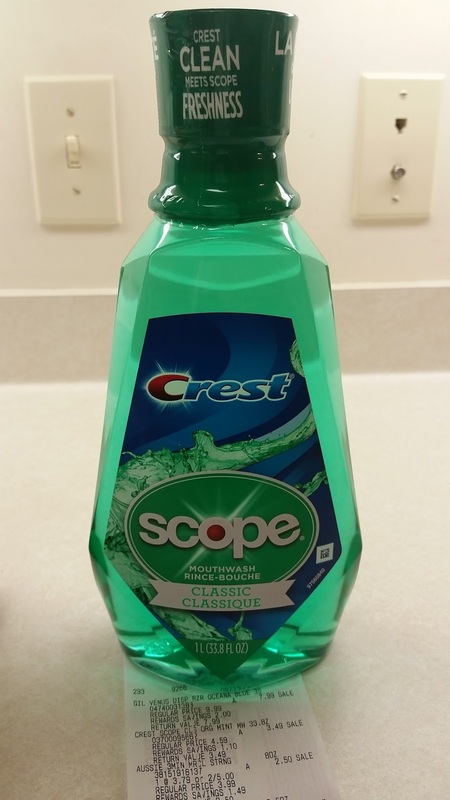 I was also at the bottom of the bottle on mouthwash, which was on sale for $3.50! I had a $2/1 coupon from either the newspaper or coupons.com, so I only paid $1.50. Yahoo. But, if you follow Krazy Coupon Lady's instructions, you can get it for free. I am gluten-free so pasta is not my jam. But I do love to use pasta sauce on veggies and with rice! These lil' puppies were a great deal! They're on sale at Walgreens. 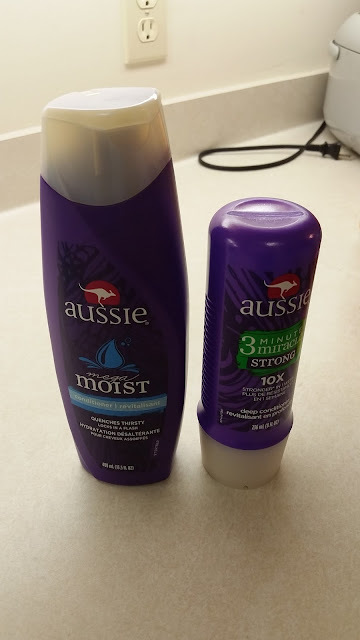 2 for $3. Add in two coupons from the weekend newspaper (my mom let me snag her coupons, too!). And then final cost was about 50 cents each! Use your Walgreens register rewards, and they'll be free! You can catch a very similar deal at Target using the same coupon from the weekend paper. I like yogurt! It's a daily staple. And I'm usually up for trying something new. 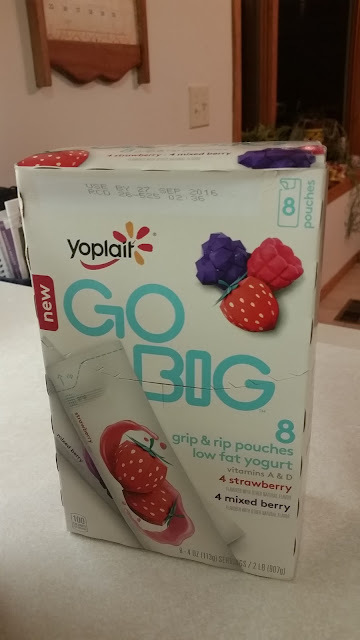 These were a little bit of a splurge for me because I can find really good deals on yogurt. But, this was definitely a decent value. These Yoplait GoBig pouches are a new product, and new products regularly appear on Ibotta. This was part of a a 75 cent rebate on Ibotta which I'm not sure is still available. And I had a $1/1 coupon from coupons.com. That made it about $2.50 for 8 large pouches. Decent! And they are quite delicious. 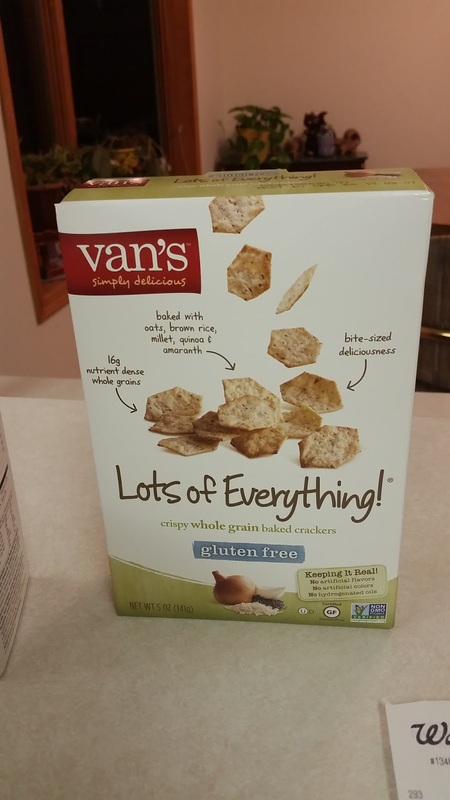 Snack food of the week: these gluten-free Van's crackers! 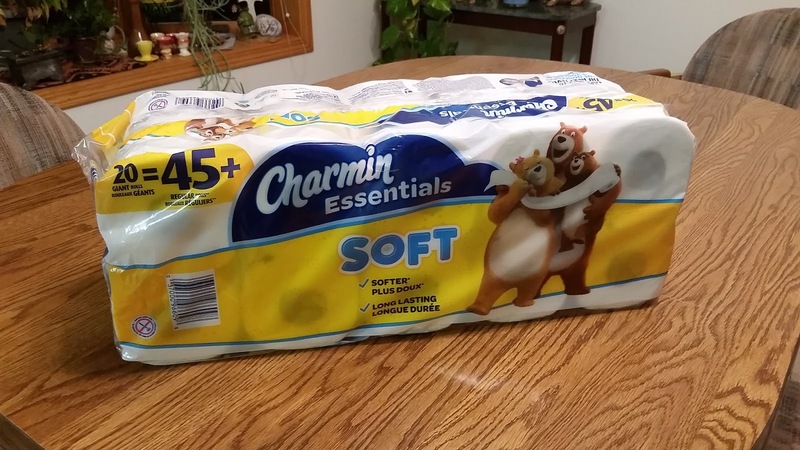 They're on sale for $2 at Target; if you Cartwheel, you'll get another 50 cents off. and I signed-up for the Van's mailing list and got a $1.25 coupon. So that made this box of crackers 22 cents! Snackin' time! Have you found any great deals this week on regular-use items?